Dussauge is a researcher at the Department of History of Science and Ideas at Uppsala University. She conducts research in science and technology studies and in the history of medicine. In her previous work, Dussauge has explored issues pertaining to medical imaging of the body; the cerebralization of sexuality and pleasure in the contemporary neurosciences; and the computeri-zation of health care and medicine in Sweden post-war and onwards. 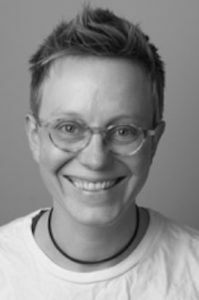 Her recent publications on neuroscience, feminism, and value-making have appeared in edited books; in BioSocieties, Neuroethics, Graduate Journal of Sexuality Studies; and in the volume Value Practices in the Life Sciences and Medicine (2015) co-edited with Francis Lee and C-F Helgesson. Among her research interests is the making of values in science and medicine. This project explores the use of aborted human fetuses in Swedish vaccine production and virology in the 1950s and 1960s. Virology, and especially the labs in charge of the production of a national vaccine against polio in the 1950s, used large numbers of human fetuses for tissue cultures in which viruses could reproduce and be studied or used for vaccines. The present project aims to document and analyze the supply of aborted fetuses from women’s clinics in the Stockholm region to the virology labs located at the State Bacteriological Laboratory. Research questions include whether, why and when these practices and research became controversial. This history is, in part, a story of the establishment of an infrastructure supplying living materials for one of the major scientific endeavours of the time: providing people with immunity against polio, and eventually eradicating the virus nationally and worldwide. Major historical backdrops for the medical research under scrutiny here were the 1950s’ national efforts to fight poliomyelitis; changing views on abortion and abortion laws in Sweden; and the establishment of virology and of tissue/cell culture methods. The interrogations direct our gaze towards the history of ethics and other values, and related controversies. Which practices came to be the object of conflicting ethical questionings in the 1960s, in which terms, and why? Which ethics, or other registers of value, did researchers, doctors and public health authorities give prevalence to? 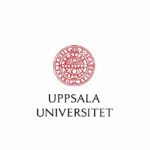 • “Fetuses against polio: Publicity and silence in the production of a national vaccine (Sweden, 1950s)”, paper presentation, Vaccines: Values, present and past, Uppsala University, Sweden, November 23–24, 2017. • “Fetuses as instruments of health: The uses of human fetal tissues for vaccine research in Sweden 1950–1973”, paper presentation, Nordic Science and Technology Studies Conference, Göteborg, Sweden, 31 May–2 June, 2017.